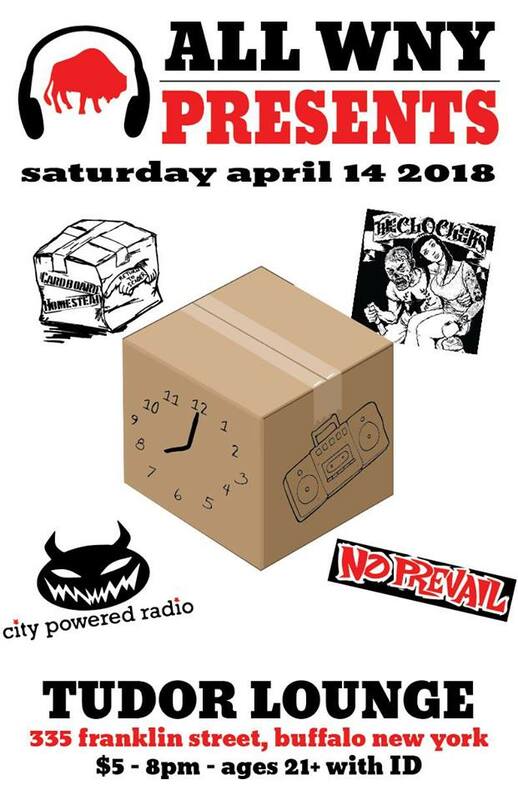 BUFFALO -- All WNY News & Radio brings the party to THE TUDOR LOUNGE, as we present Cardboard Homestead, The Clockers, City Powered Radio, and No Prevail! $5 at the door, 21+ with ID. All WNY Deals tickets are not available for this event.